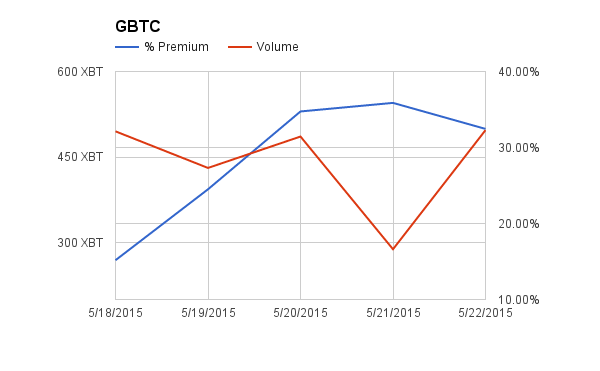 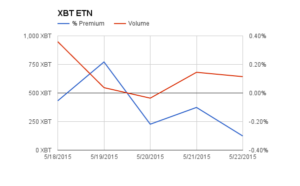 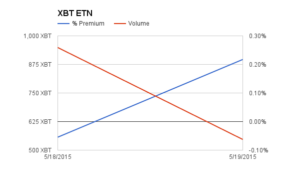 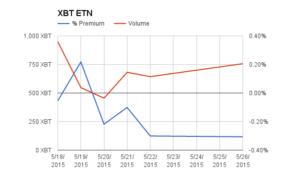 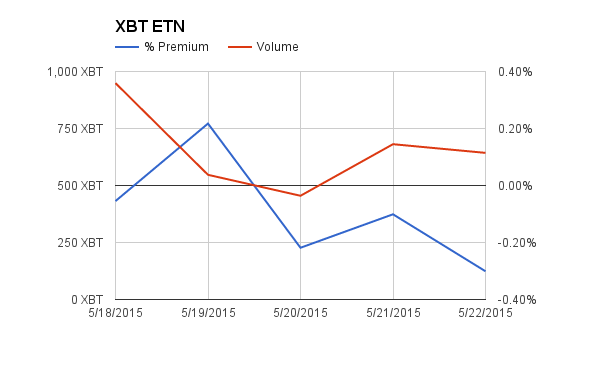 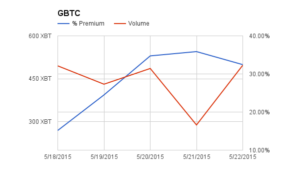 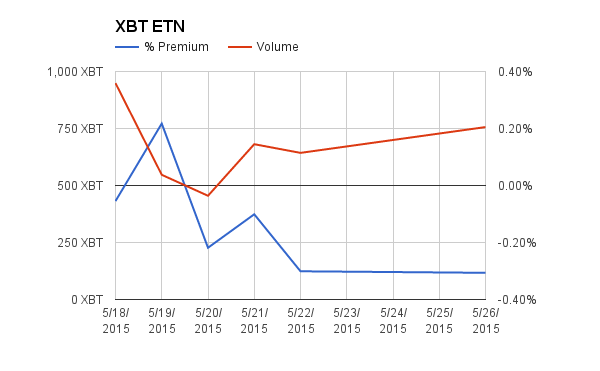 GBTC premium declined slightly to 32.5%. 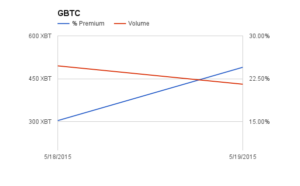 The market is settling around a 35% premium for this product. 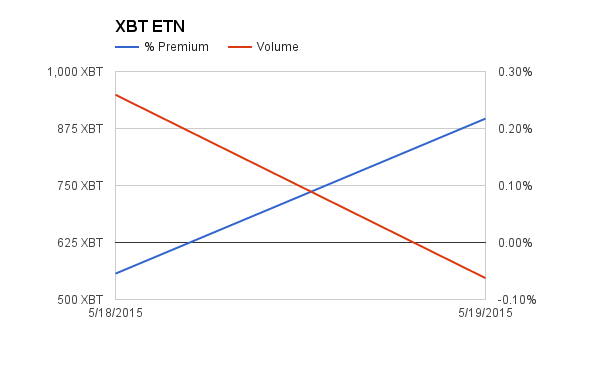 Volume recovered to 500 XBT. 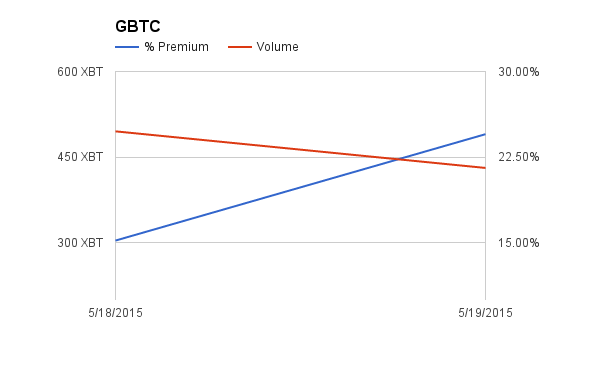 The XBT discount widened to -0.30%. 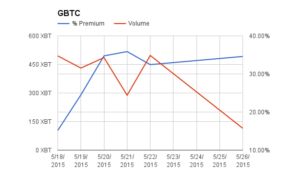 Volume held steady at 643 XBT. 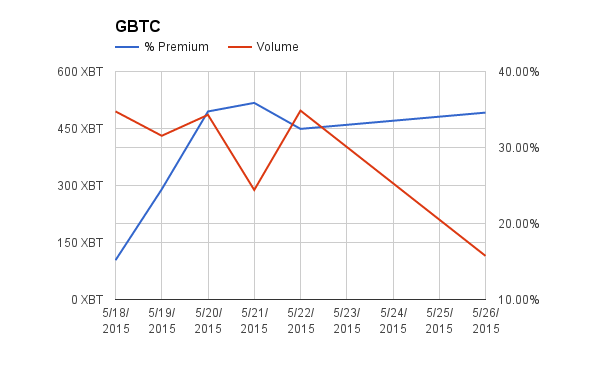 The product has demonstrated encouraging demand especially since it trades more than the better publicised GBTC.